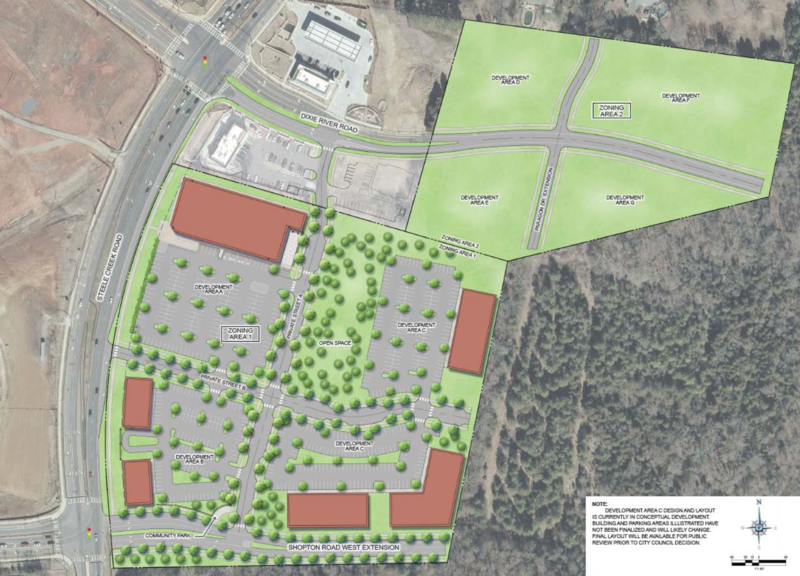 Right across the street from the Harris Teeter Fuel Station and beside the Bojangles on HWY 160 (Steele Creek Rd) will be a new Mixed-Use development. The development is completely separate and not apart of Berewick Town Center. However, developers have said the “look and feel of the property will be the same”. On the street frontage of HWY 160 will be two large retail/commercial areas with large apartment blocks behind that. Inside the development will be interior parallel roads to 160 and Shopton Rd West will be extended through the property. More information about this development can be found on Charlotte’s rezoning website.